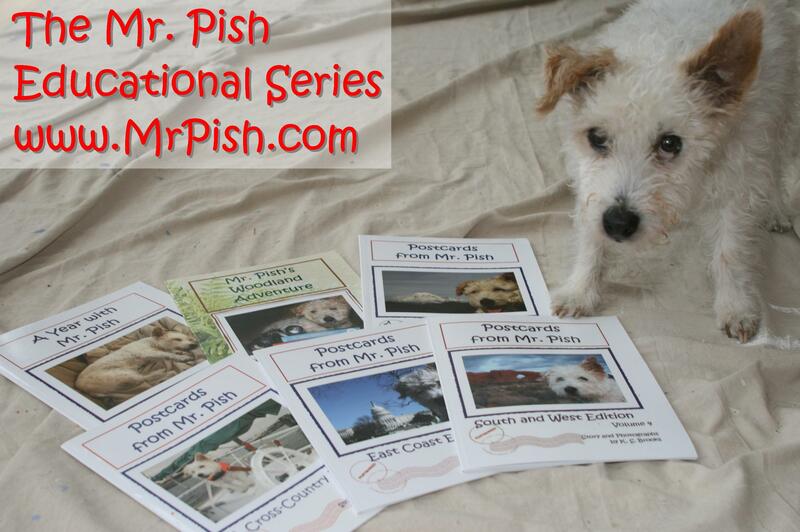 Mr. Pish the traveling terrier wants to make sure that you know his five educational books and his 13-month personal planner/calendar are available this holiday season! All Mr. Pish products are Mr. Pish Approved and contain full color photographs and engaging commentary geared to promote outdoor learning and literacy for all ages. All Mr. Pish products are by K. S. Brooks, and are available from Amazon.com, Amazon UK, and all Amazon.com stores. Culminating a bitter-sweet epic and traditional coming-of-age story, Eyes Behind Belligerence sets precedence to fear and hatred, to families torn apart, and to the calloused response of internment camps. While two Japanese-American families endure the wake of Pearl Harbor’s wrath, each member must face the most painful question of their life: Where does their loyalty stand? Eyes Behind Belligerence, the historical fiction book by author K.P. Kollenborn, is available through Amazon.com, Amazon UK, Barnes & Noble, Smashwords and other online stores. Jake Abraham has just fulfilled an ambition. After three years of grunt work for a detective agency, he’s finally got his private investigator’s license, and set up on his own. Jake is a child of the eighties, brought up by Jim Rockford, Thomas Magnum, and three beautiful girls who worked for a man named Charlie, so he thinks he knows what to expect. His first case even seems like an easy one. All he has to do is find a missing girl. When she shows up dead, the latest victim of a serial killer, things get complicated. The Shoulders of Giants, the mystery novel by author Jim Cliff, is available through Amazon.com and Amazon UK. Alligators, witches and spooky mansions aren’t your average neighbors unless you live in the Ornofree swamp in the backwater town of Hadleyville. The town’s bad boy, Pete Riley, may only be twelve, but he’s up to his eyeballs in trouble. 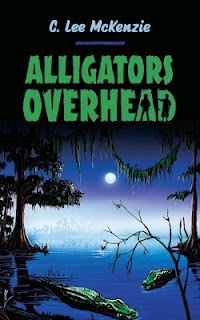 The trouble arrives when a legendary hundred-year-old mansion materializes next door and the Ornofree alligators declare war to save their swamp from bulldozers. Then Pete’s guardian aunt and her friends vanish trying to restore order using outdated witchcraft. Pete must find the witches and stop the war. He might succeed if his one friend, Weasel, sticks with him. 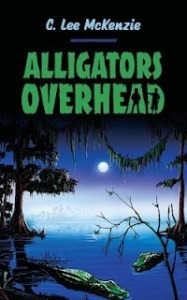 Alligators Overhead, the middle grade adventure fantasy by author C. Lee McKenzie, is available through Amazon.com, Amazon UK, Barnes & Noble, Smashwords and other online stores.